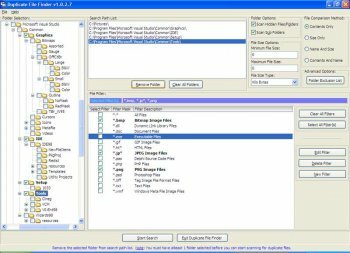 Duplicate File Finder allows you to remove duplicate files from your computer. It allows you to search for duplicate files on your local PC and over the network. And you can preview graphic files before removing them (currently BMP, GIF, JPEG supported). Duplicate Finder is utility to find duplicate files. It will help you find duplicate files and folders. There are 5 ways to search for duplicate files. 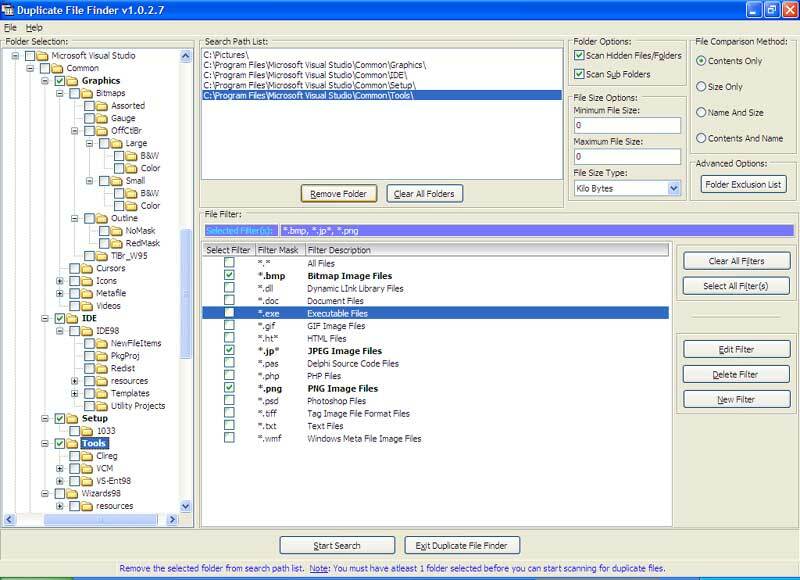 Convenient tools for the multiple selections of found files: selecting all files in one specified folder, selecting all files that are duplicates for the specified one. The applications will compare the content of your files so it will find duplicates even if they are using different file names. It uses fast binary comparison algorithm and has internal preview supporting a lot of image, video, music and text file formats. The latest version of this program is 1.1.0.3, but the website has been down for several days now. This is a very good, free, file finder. However, upon reaching the "NTUSER.DAT" file in c:\document and settings\, it has given me an error message and apparently frozen. Apparently it can't handle files it can't read, without freaking out. Aside from that problem, about the only other thing I could ask for is for it to do intelligent fuzzy filename match, so that I could easily find MP3 files that are the same song, but might be dissimilar files, recorded at different bitrates, or whatnot.